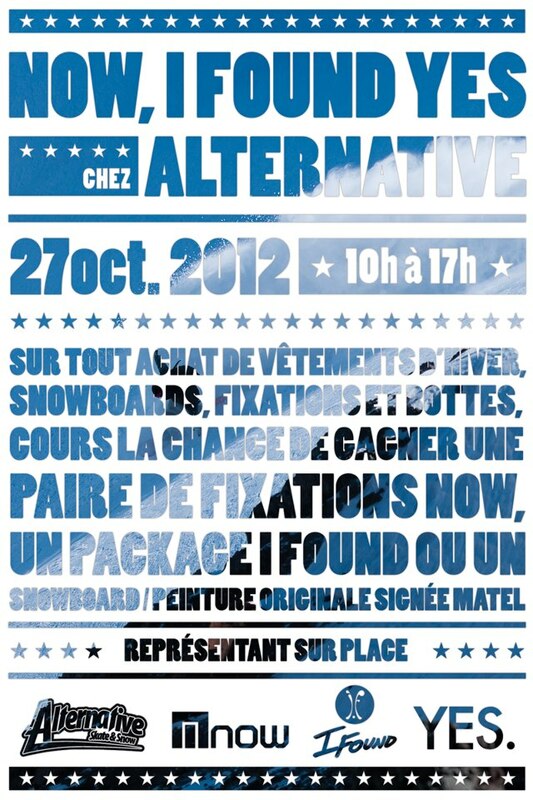 This saturday in Rimouski at Alternative Boardshop! This is the Now, IFOUND Yes day. Come shop your hardwear for the winter and get a chance to win Now bindings, IFOUND package or a custom snowboard that I’ll be painting live in the shop! ← Because we love stickers!